GOLDEN STATE LIFEGUARDS IS THE MOST PROFESSIONAL LIFEGUARD PROVIDER IN SAN FERNANDO VALLEY, SIMI VALLEY AND CONEJO VALLEY!! We are the number one pool party lifeguard provider in all of Los Angeles. No one can rival our expertise and professionalism! When it comes to your safety, there is only one choice for lifeguards! 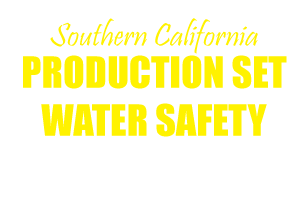 Golden State Lifeguards is devoted to hosting drowning prevention events and seminars throughout the Southern California region. When it comes to providing production set lifeguards and water safety, we are the industry leader since 2006. DROWNINGS ARE 100% PREVENTABLE WITH THE RIGHT SUPERVISION! When it comes to water safety for your guests or children, look no further than Golden State Lifeguards. We are the number one provider of private pool party lifeguards and ocean lifeguards in the Los Angeles region. We have been providing the most dynamic and professional lifeguards since 2006. When it comes to water safety, you can't simply hire anyone. Our lifeguards are seasoned professionals with years of experience. They have been extensively background checked and skills tested to ensure our clients are getting exactly what they deserve. When it comes to hiring lifeguards, we go above and beyond! We just don't hire anyone with a heartbeat! We are always encouraging party hosts to hire a lifeguard for pool parties or beach events as it is impossible to host the party and to watch swimmers. It is also never a good idea to have an untrained family member or friend watch the pool as well. Drownings are 100% preventable with the right supervision! PLEASE NOTE: We are not affiliated with any state, city or county lifeguard agency. We are not a law enforcement agency nor do we act in any enforcement activity. 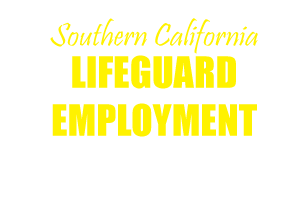 We are a private lifeguard provider serving the California events industry! Proudly serving the cities of Studio City, Sherman Oaks, Encino, Tarzana, Woodland Hills, West Hills, Agoura, Westlake Village, Thousand Oaks, Oak Park, Simi Valley. Call for availability!